London, March 24 (IANS) Indian-American writer Akhil Sharma has won the second annual Folio prize for fiction for a novel which charts an emigrant family’s heart-wrenching search for the “American dream”, said a media report. Sharma said after winning the 40,000-pound (nearly $60,000) prize that writing the novel, which took 13 years to complete, was a frustrating and difficult challenge, often “like chewing stones”, with around nine wasted years when it did not go well, according to a Guardian report. “I’m glad the book exists, I just wish I hadn’t been the guy who wrote it,” he said. 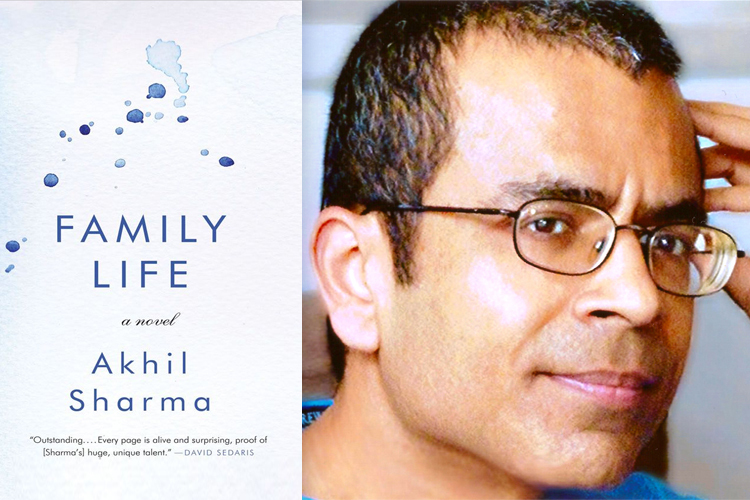 Sharma won the prize for his second novel, “Family Life”, an autobiographical work, which tells the story of a young boy, Ajay, and his family who emigrate from Delhi to New York in search of a better life. All is turned upside down when his older brother has a dreadful swimming pool accident and needs round-the-clock care from then on. Sharma, a former investment banker, said he was professionally happy that people were reading the story of care givers, but admitted that he thought about giving up. However, he stuck with it. “I couldn’t bear the idea of having spent all those years and then nothing good having come out of it. William Fiennes, who chaired the panel of judges, praised the novel, currently a bestseller in the US, as “lucid, compassionate, quietly funny”. “‘Family Life’ is a masterful novel of distilled complexity: about catastrophe and survival; attachment and independence; the tension between selfishness and responsibility. “We loved its deceptive simplicity and rare warmth… This is a work of art that expands with each re-reading and a novel that will endure,” he said. It was chosen from a shortlist of eight books, which included what was the bookmakers’ favourite for the prize, Ali Smith’s novel “How To Be Both”. The prize, sponsored by the Folio Society, was created last year with the aim of celebrating the year’s best English-language works of fiction, regardless of form, genre and geography. The first winner was American short story writer George Saunders for “Tenth of December”.